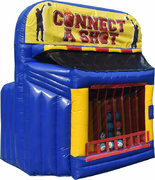 For the best bounce house rentals Tupelo, MS has to offer, look no further than North Mississippi Party Rentals. 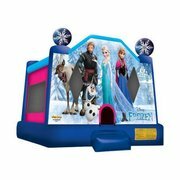 With the largest selection of fun inflatables for rent in the area, you're sure to find the perfect bounce house for your next party or event. 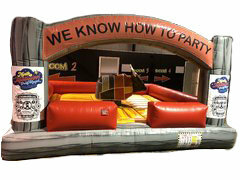 Our carnival bounce house is the perfect way to turn your backyard birthday party into a carnival midway. 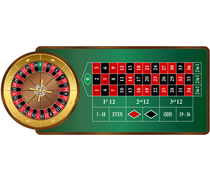 This beautiful ferris wheel design will really be the centerpiece of your next event. 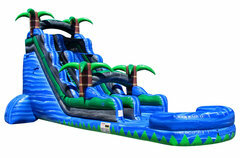 Our Cowabunga bounce and slide combo is perfect for turning your next event into a tropical paradise. Complete with waves and palm trees, this unit can be used wet or dry. 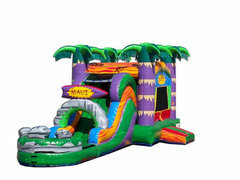 Give your guests the gift of being magically transported to a tropical island with this great inflatable rental. 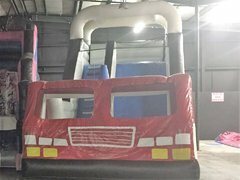 All of our bounce house rentals meet or exceed ASTM safety standards, and they are cleaned, sanitized and installed by our professional staff. Click here to order by date! 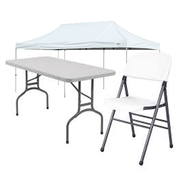 Click below for the best bounce house rentals Tupelo, MS has to offer.